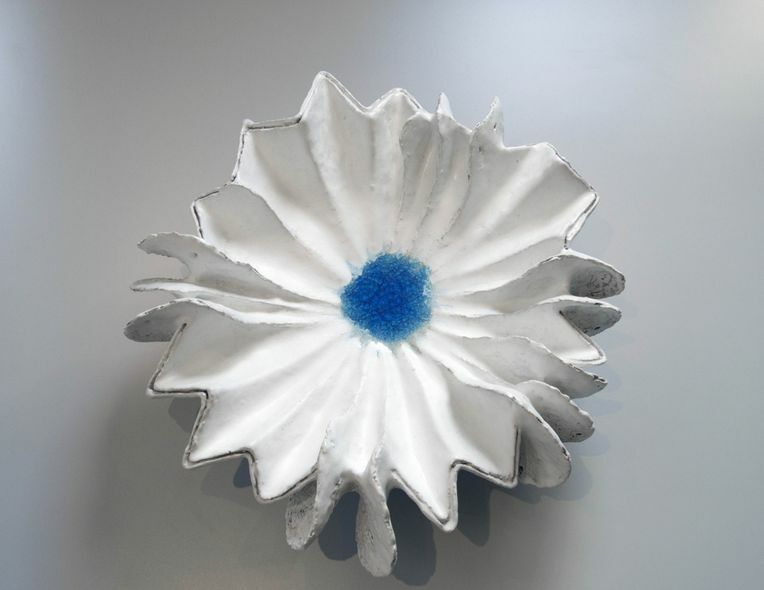 The third solo exhibition of celebrated artist, Shoko KOIKE will be held at Joan B Mirviss LTD.
Shoko KOIKE (b. 1943) has always taken inspiration from nature, especially from the sea and plants. 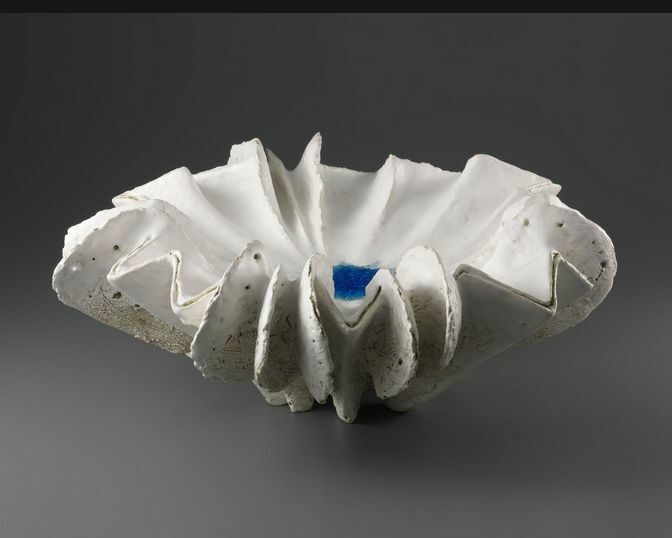 Swirling shell-like shapes and rising large leafed-vessels are punctuated in their recessed bases with puddled crystallized blue glaze in shades ranging from cerulean blue to pale celadon. While their spiraling forms do occur in nature, the centrifugal force generated by Koike when working on the potter’s wheel, evokes for her, the rhythms of the universe beyond simply those of the ocean. The clay core thrown on the wheel then serves as the base for further hand-building, carving, shaping, and glazing, which ultimately results in pleated, dancing vessels bursting with energy. Koike believes her most recent clay forms embody a certain rhythm; whether flowing or staccato, each sculpture has been captured in a still moment drawn from an otherwise frenetic existence. One of the first female graduates in the ceramics department of the prestigious Tokyo National University of Fine Arts & Music, Koike was awarded the Salon de Printemps prize for her graduation work. Pioneering in a field previously the exclusive domain of Japanese men, Koike was also one of the earliest women to become a self-supporting studio artist. While influenced by teachers at university and her mother Chie KOIKE, a prominent Japanese fashion designer, she departed from these earlier influences to formulate her own vision focused on forms found in nature. Koike is already a celebrated artist in the West with works in major museum collections throughout the U.S. and Europe. 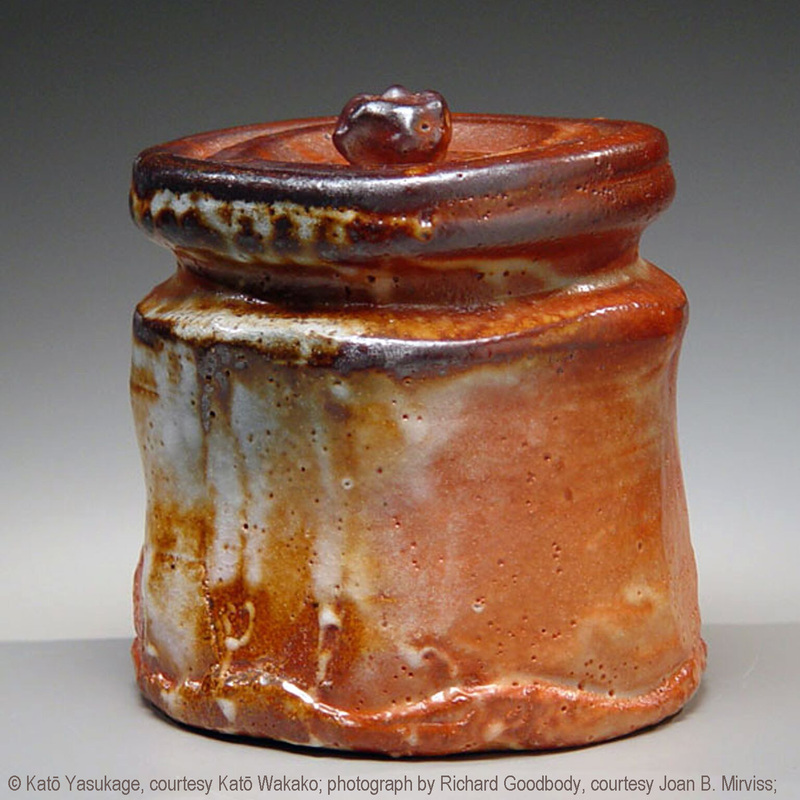 Last year she was awarded the highly important Japan Ceramic Society Prize. She has been featured in two Japanese public television shows devoted solely to her work. 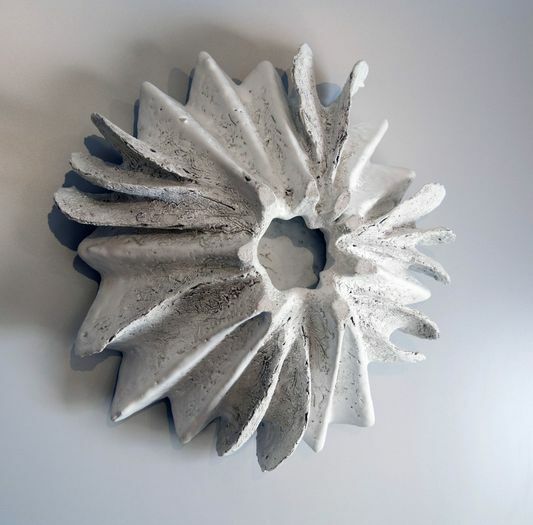 Joan B. Mirviss is the leading Western dealer in the field of modern and contemporary Japanese ceramics, and from her New York gallery on Madison Avenue, JOAN B MIRVISS LTD exclusively represents the top Japanese clay artists. As a widely published and highly respected specialist in many areas of Japanese modern and antique art for over thirty-five years, Mirviss has advised and built collections for many museums, major private collectors, and corporations.